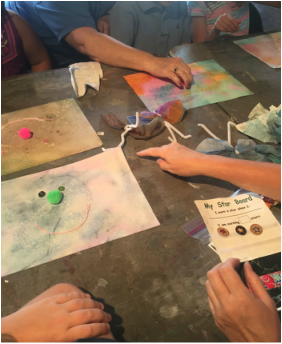 The Decorative Arts Center of Ohio offers sensory friendly museum tours for families on Monday afternoons when the museum is closed and on the first Saturday of the month at noon before the museum opens at 1:00. To schedule a tour, contact Elizabeth Brown. School trips to the museum and studio are provided for classes with special needs through generous funding from our partners including transportation. To schedule a school trip call 740-681-1423.